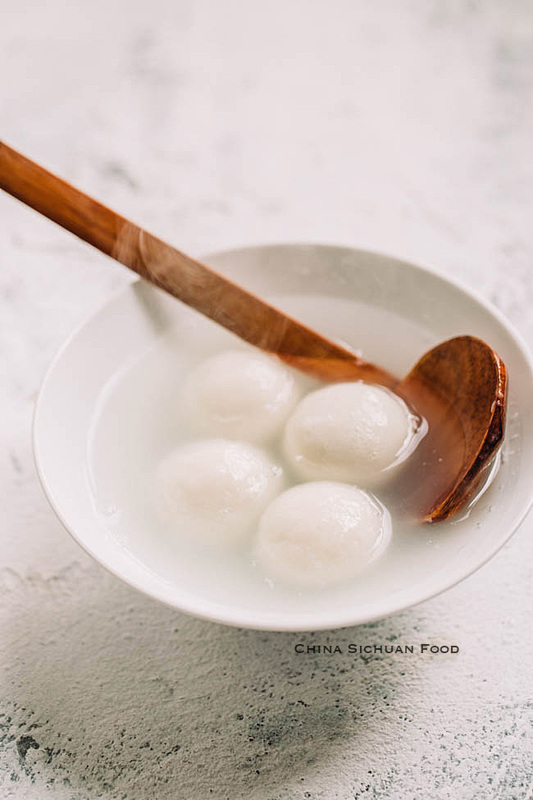 Tang Yuan is a popular sweet Chinese dessert, used to celebrate holidays including Lantern Festival (元宵节)and Winter Solstice Festival (冬至), but is served as desserts now and sometimes as breakfast in cold winter mornings. I used to make this black sesame rice dumpling is made for our special holidays. In other common days, I usually made easier unstuffed version. 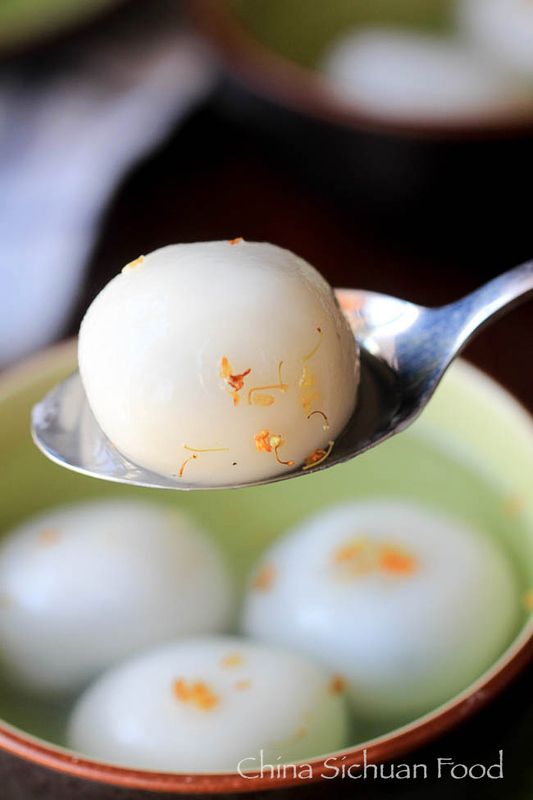 Rice dumpling ball-Tang Yuan is loved by people for its round ball shape. 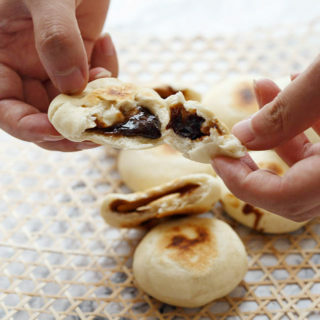 Chinese people believe the round food symbolize completeness and family gathering.Back to the old days, we soaked a large batch of glutinous rice firstly and then ground them into rice milk and then filter the water out to make the rice dumpling batter. That process needs help and contribution of almost all family members. So we usually make a larger batch. I can still remember the process repeated year by year. Those sweet memories bring lots of happy memories. The rice dumpling batter can be kept for 1 month in a special jar and we can start enjoying in the new year days starting from the Spring Festival to the Lantern Festival. 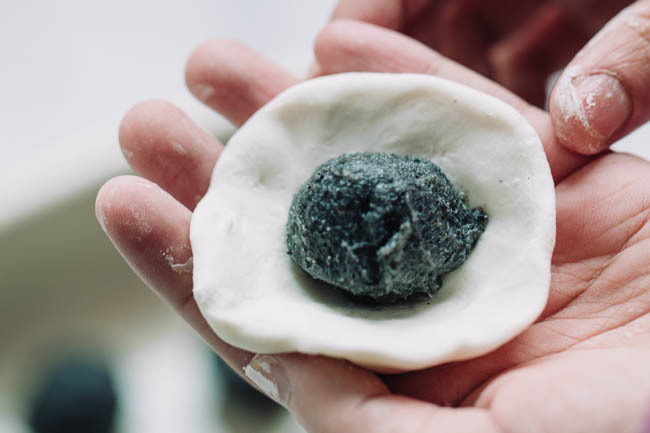 Now making tangyuan can be quite easy and quick due to the easy access to glutinous rice flour .There are various filling for Chinese Tang Yuan including peanut filling, sweet red beans, lotus root paste and savory meat filling, but the most classic version is black sesame filling. Black VS White, the best appearance match too. 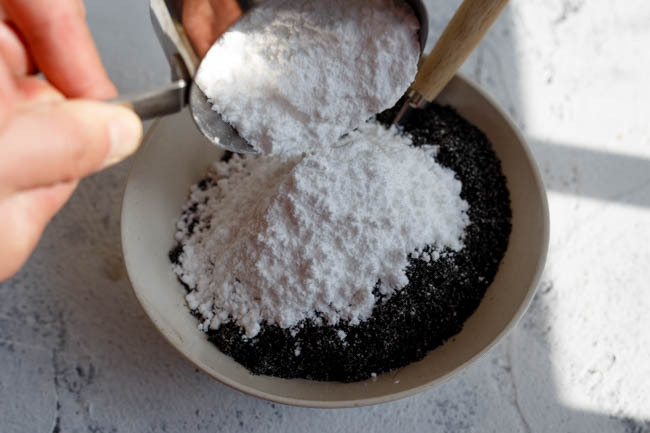 Since sticky rice flour is gluten free, you may feel it is harder to control then normal flour, which might result to hard assembling (cracks on surface) and broken skins. We can surely soften the flour and make it more obedient by adding warmer water. But personally I do not like this method because the temperature drops quickly especially in winter days. In order to delay the temperature dropping, you can add hotter water, which will make the dough too sticky to handle. After so many years of experience, I love to introduce this brilliant new way of making the dough. 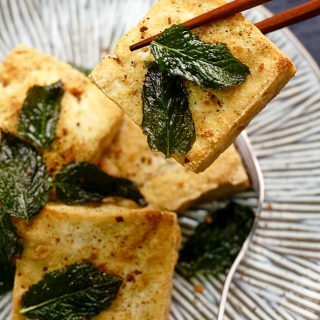 I simplified the method from use this method from fried sesame balls. Place 1 cup of flour in a large bowl, and then pour 1/4 cup of hot boiling water in the center. Slightly stir in a small range. Cover the let it stay for 10 minutes. When glutinous rice flour meet hot water, it becomes sticky, which can prevent breaks and cracks in the following steps. Then pour in the remaining 3/4 cup of cold water. 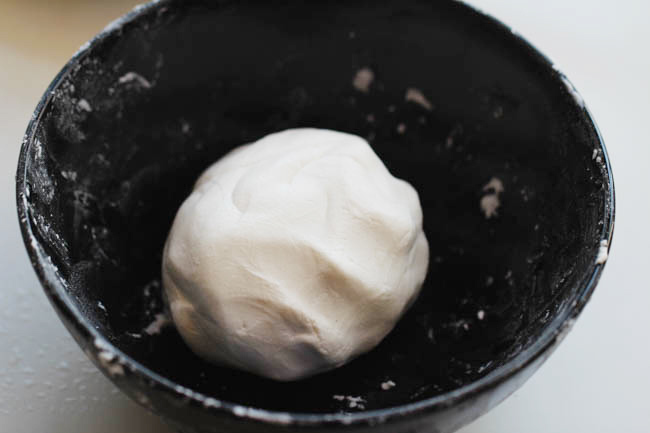 Knead into a smooth dough. The amount of sugar should be guaranteed. Since we contains lots of oil in the filling, limiting the sugar amount will make your filling taste fatty. 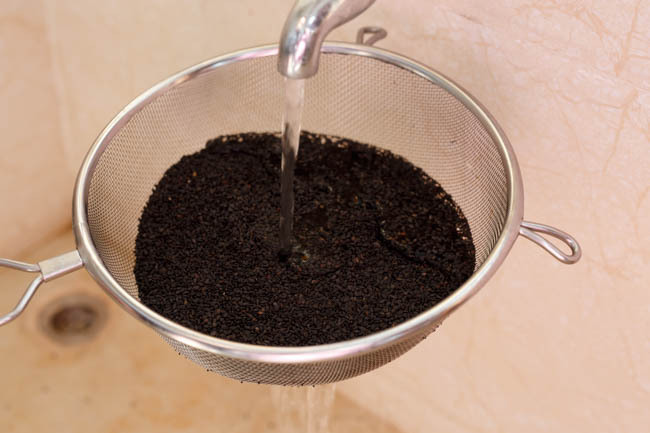 rinse the black sesame seeds under water to remove any dirts. Fry over slow fire until the seeds are well dried. 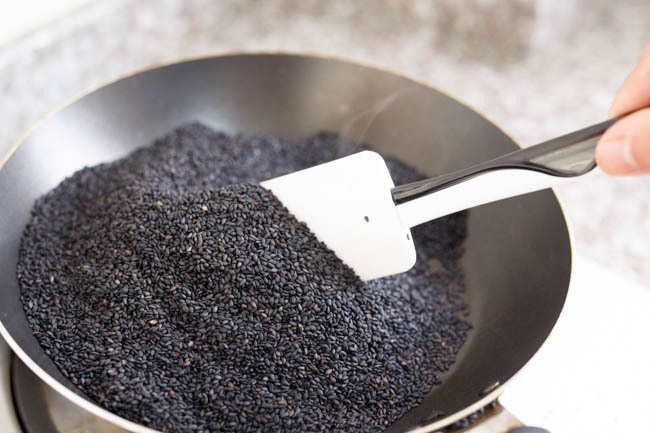 Do not overcook, otherwise the seeds becomes bitter. Transfer out and cool down completely. Ground 1 cup of toasted black sesame into flours. Mix with 1 cup of powdered sugar. And add 150ml lard or butter (how to render lard at home), either melted or softened. 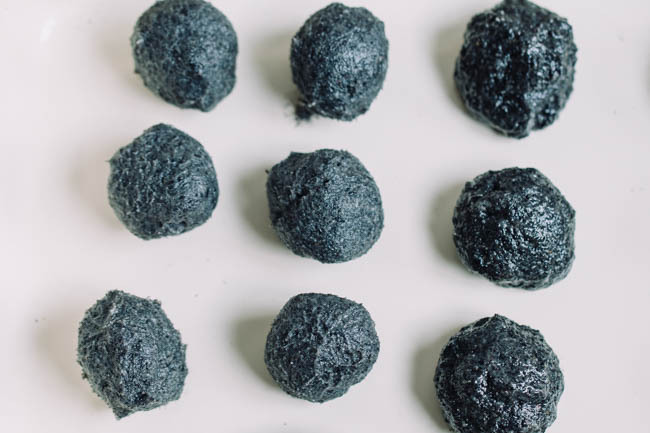 If you are not skilled at sealing balls, shape the filling into balls firstly can make the assembling process easier. 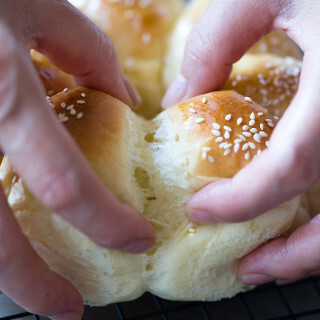 You can make around 12 to 16 sesame balls this batch. Chilled if necessary. 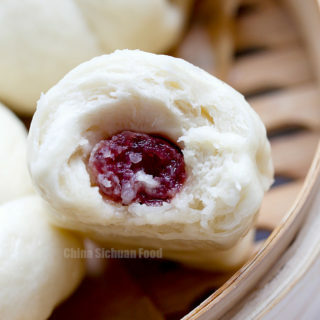 While the filling is being chilled, mix the dough with glutinous rice flour. Take one piece and shape into a bowl. Place the filling in. Shape into a around ball. Cook them in boiling water until floating on the surface. I would suggest shaping the balls once again before cooking, which makes them perfectly round. 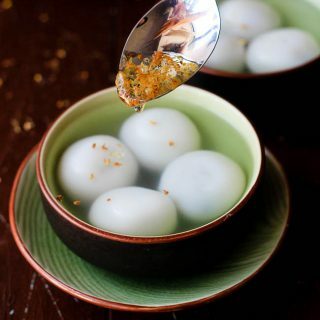 Tang Yuan usually is served warm with syrup like Osmanthus syrup, sugar or fermented glutinous rice wine (酒酿). In some parts of China, people love to eat meat dumplings with a savory soup base. You need to scoop one up and gently take one bite and say hello to the lovely filling. 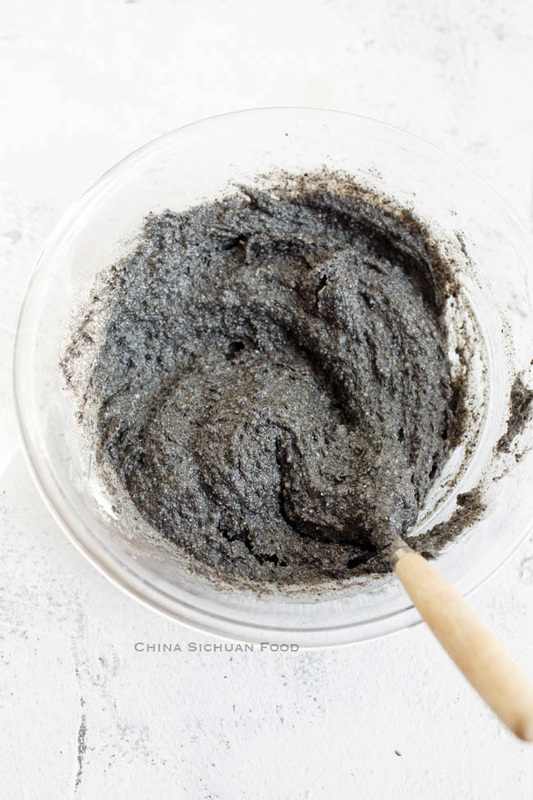 Toast black sesame in a pan or oven (detailed guide can be find here) and then ground them into powders. Smaller particles can be accepted for the filling. Or you might find them directly in store. 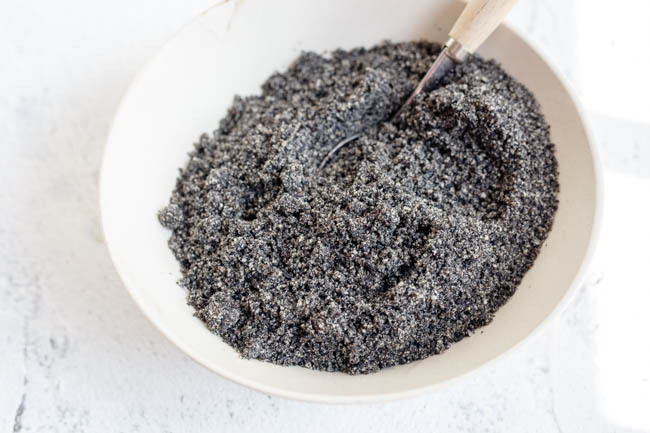 In a bowl, mix black sesame powder with salt and sugar. Pour lard and mix well. Place in fridge for 1 hour until slightly hardened. 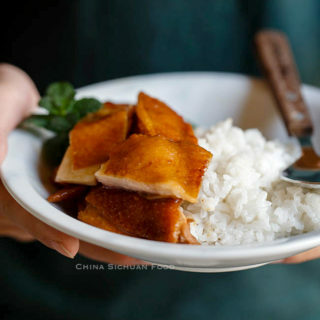 Place the sticky rice flour into a large bowl, add hot boiling water in the center and wait for 10 minutes. Then pour the cold water. 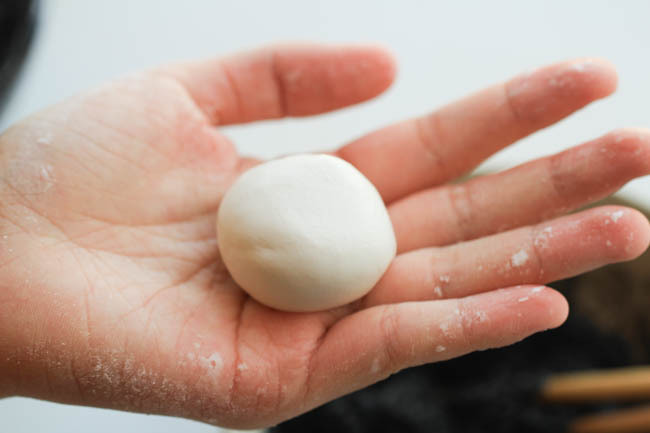 Grasp to form a dough and keep kneading for couple of minutes until the smooth; shape the dough into a long log so that you can make similar pieces in the following step. Take one piece and shape it to a bowl carefully (tips at Note 1). Then scoop around 1/2 tablespoon to black sesame filling into the center. Seal the rice dumpling completely. See Note 2.Shape the balls as round as possible gently. 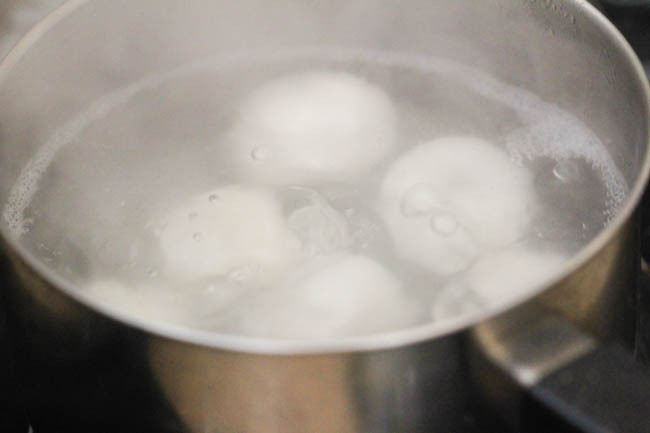 Bring water to a boiling in a pot (the water should be at least 2 cm higher than the balls). Continue cooking for another 1-2 minutes after they float on surface. Scoop out with the soup and serve with sugar, or sweet osmanthus or syrup. Note 1: When shaping the bowl, we need to make the bottom thicker while the other parts uniform. If the bottom is too thin, the balls might break during the shaping process. Note 2: If you are not skilled at sealing balls, try to shape the filling into balls too. This will make the process easier. Note3: If you want the filling to have a liquid texture, increase lard in the filling. I love black sesame tang yuan! I have only bought the frozen ones, but never try making my own. 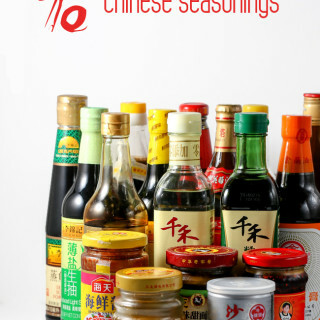 Yours look amazing, especially with the osmanthus syrup. Thanks Lokness for your lovely comment. 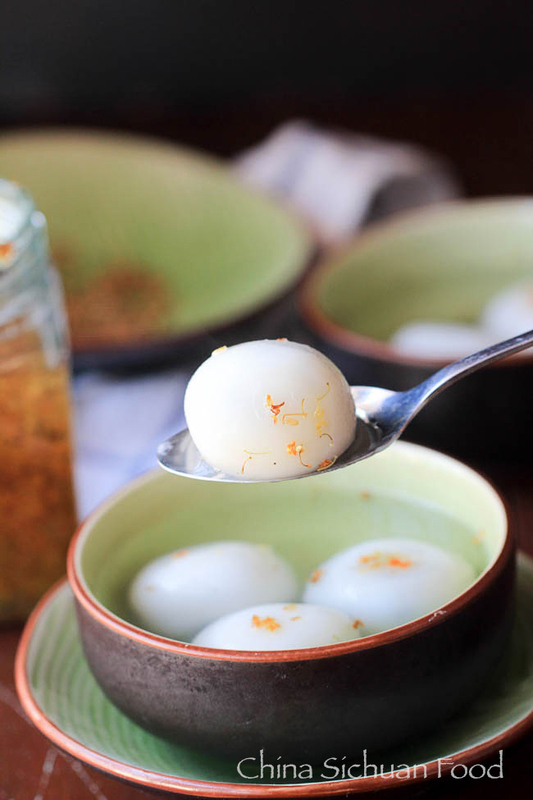 Personally I just love to serve Tang Yuan with osmanthus syrup and fermented sticky rice. They are so wonderful as desserts. I am so glad to find a recipe for this! I occasionally would find it in the supermarket but sometimes it wouldn’t be sweet and they’d have the salty version. I’m super excited to finally be able to make this myself! Thank you so much! You are quite welcome Angela. There are also salty version in China too. But this black sesame filling is the most classic and popular one. Thanks for your lovely feedback and happy cooking ahead. If I use butter do I need to use unsalted butter or is using salted okay? If you plan to use butter, use unsalted butter as we do not too much salty taste in the filling. Thank you for this easy to understand recipe. I have a question or two. Can I use coconut oil instead of lard or butter? Also, what is the yellow orange topping you have added? What is it called? What does it taste like? That yellow orange topping is known as sweet osmanthus syrup which is made from dried osmanthus. It is a flower tea popular in China and it is usually used in Chinese desserts too. I just discovered your wonderful blog and I enjoy reading it so much, your photos are gorgeous! Do you recommend any other fillings for this cake? Also, perhaps you could give me some advices on how to make osmanthus syrup? Thank you so much !!!! Stay inspired!!! Thanks for all your lovely words. 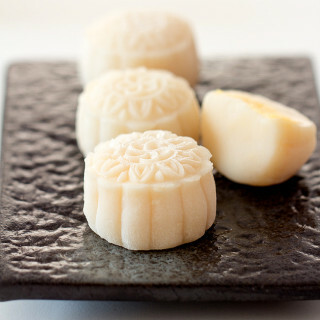 There are other fillings for Tang Yuan for example you can use smashed nut mixture, peanuts paste or nut paste. As for osmanthus syrup can be replaced by honey. If you want to make some at home, pick fresh osmanthus and soak in salty water to clean and then wash under running water. Then soak them in honey or homemade syrup (water VS sugar: 3:2 with several drops of lemon juice). You are the most welcome.Ly. Happy cooking ahead. Love this dish – can’t wait to make it myself. Thanks for sharing Elaine. Could it still tastes good if we cook it in coconut milk, like in bilo bilo ? thanks ! Yes coconut milk should work for the dough. Can i freeze already boiled balls? I would like to prepare dough today, but i would like to leave a half of balls to eat next day. What do you recommend at this situation? Is it possible to keep boiled balls in refigerator? You can finish shaping and then place them in airtight bag for freezing. Next time, cook them directly. They can be frozen just like dumplings. 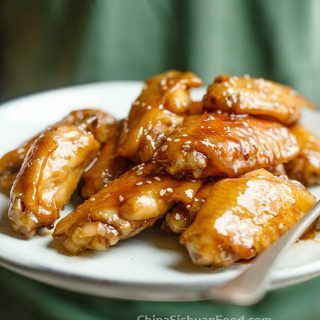 I was looking for the fried version but came to this instead… regardless these taste super yummy.. and surprisingly easy to do. The second time I used hot water instead. … not piping hot.. just dispenser hot.. and the dough had less of a transparent look.. similar to yours in the picture but held its shape better. Thanks for the recipe.. easy and we’ll that makes quite a batch! Dough with cold water is much harder to shape so warm water is the best choice. Hi Elaine! Could you discuss more on how the dough was made in the old-fashioned way? Or perhaps do a post on that, please? For the traditional way, we soak the sticky rice firstly and then blend into a liquid mixture using a stone miller. Next, a gauze is used to filter the water out slowly. After 3-4 hours, when most of the water comes out, knead the dough for several minutes until smooth. And we have a similar process in the following steps. 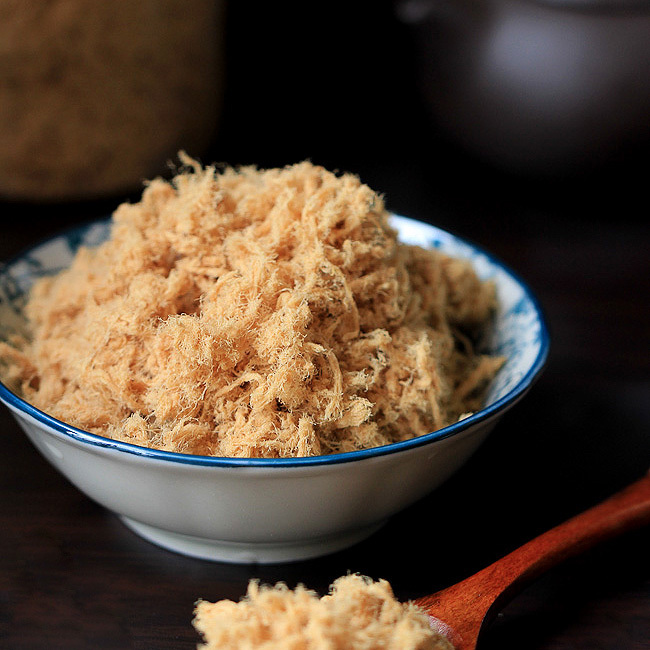 The original ingredient need to be sticky rice, so if the colored rice flour is made from colored sticky rice. It will be 100% fine. By the way, if you want to add some extra colors, there are lots of options. For example add some coconut powder in the dough, mix some squash or purple sweet potatoes to add some natural colors. Many years ago I used to dine at at dim sum restaurant in California where they served this dish. It tasted like they had toasted the seeds before making the paste and the paste was slightly crunchy as if they had used a coarser sugar and the crystals had not dissolved. There may have been a little sesame oil in the filling, too. The dumpling was boiled and then rolled in toasted black sesame seeds. It was quite sweet and presented a delightful variety of textures as you ate it with a good, strong sesame flavor. I am very happy to have found this recipe which I think I can adapt to duplicate the mochi I used to enjoy so much. 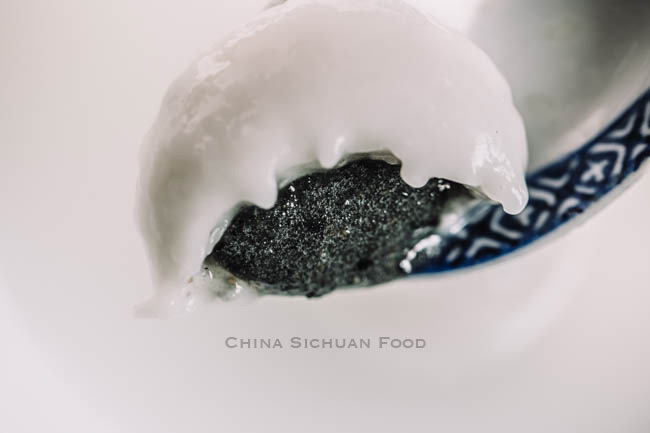 That’s an interesting way to serve Tangyuan with toasted black sesame seeds on surface. We have similar serving way, but we use crushed toasted peanuts like this one. As for the filling, you can adjust based on personal preference. 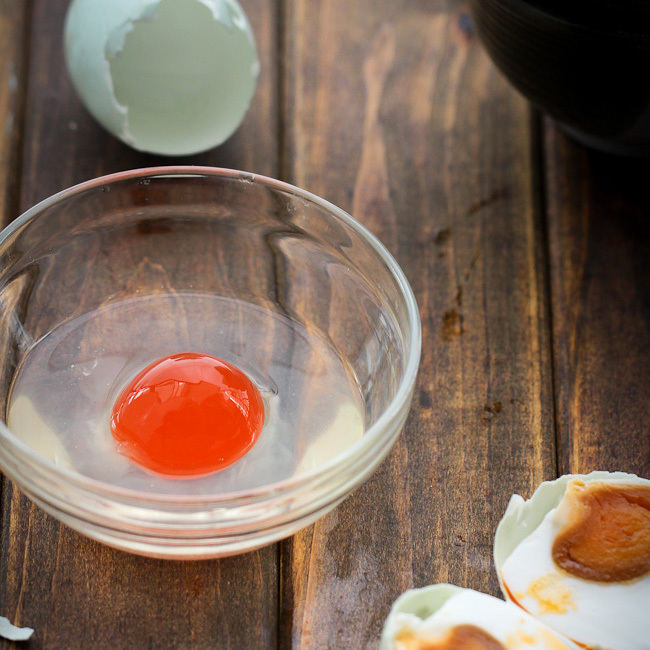 Usually for soup serving tangyuan,we wish a running texture of the filling. 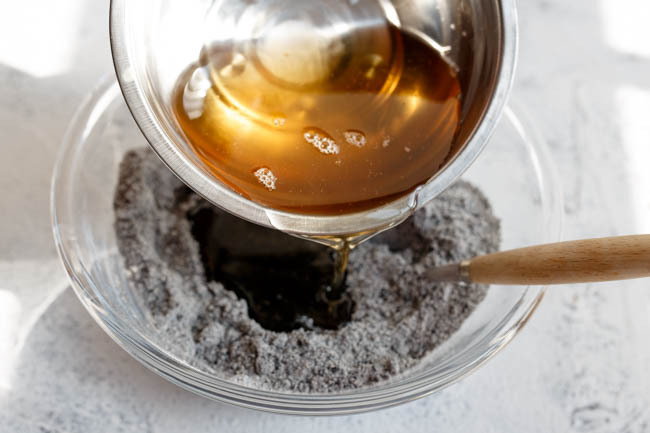 So the black sesame is well ground with castor sugar or even sugar powder. However if they are severed along, you can use roughly ground toasted black sesame and coarser sugar. The sugar will not dissolve after boiling.